Because the differences between the Fat Head/Lundahl and this mic were probably a bit too subtle to compare, I decided to make comparisons to another guitar cab mic that we all have in our tool chest: the Shure SM57! The recording chain for these samples is: microphone to Cloudlifter CL-Z (I use this on all of my passive microphones), to UA Apollo quad, using the channel 1 preamp, into Logic. I have a few different guitar cabinets/speakers in my studio, because I like the variety. Quite often I drive a custom cabinet with a 6-inch Jensen ceramic speaker and a couple of different mini-amp tube heads. Here’s a sample of a ’93 Strat (with Fender Hot Noiseless J. Beck pickups) thru a VHT Special 6, 6 watter (upgraded a bit with some bitchin’ tubes), through my 6-inch cab. Using the neck pickup, I recorded the intro to “This Ain’t No Picnic,” one of my favorite Minutemen songs. The CG Fat Head has a bit of “vintage hair” on it, I’d say, compared to the 57. The ’57 isn’t a bad sound, but it’s brighter, and pokier. Changing over to the 2nd pickup position (between bridge and middle pickup), I thought I’d try a little funkier guitar picking thing, to offset the big round chords of the previous example. Here’s where you might want that pokey 57 sound, as it’s pretty snappy with this type of playing. The ribbon has a warmer sound (I hate that term…). Maybe “slightly darker” is a better term? Anyhow, I think that both microphones work well here, but depending on what’s in your mix, you might want one or the other (or record them at the same time and blend!). Then I switched over to a larger combo amp, my Fender Hot Rod Blues Deluxe, which was also just outfitted with new tubes. This has a 12-inch speaker (twice the sound of the 6-inch!). I tried the Minutemen intro again on both microphones. The 57 sounds like you’d probably imagine. It’s missing a bit of low end, but in a mix, that’s probably not a big deal. It does get a little spanky, but it’s nothing a little mic placement adjustment or compression couldn’t wrangle. The CG Fat Head is definitely presenting a different picture. Again, I like to think of it as “hairy” or having the sound of vintage gear… it almost gives the Fender a bit of a Vox flavor (maybe? pushing it?). Anyhow, you can hear the ribbon get pushed a bit on the low end when I hit the E string too hard, but I left it in so you can get a real-life understanding of how it reacts. Then I went back to my funky guitar line for the Fender. The 57 is, again, pretty bright. For that type of guitar line, it might be exactly what you want. The CG Fat Head is not as present, nor as bright and it would sit a lot differently in a mix than the SM57. I had to try the dirty channel on the Fender, so I cranked up the drive and played a little ZZ Top. I’m no Reverend Gibbons, but I love me some ZZ Top. This example presents a pretty huge difference between these microphones. This guitar part is a featured break in La Grange, and while the ’57 is clean and bright, the CG Fat Head has all of this girth and would be a great choice to use in a featured guitar part like this when the band stops! Big and round and filthy. It’s a really nice flavor. If I weren’t a vegan I’d probably make some sort of reference to Texas BBQ here… Anyhow, it sure is tasty. Lastly, I thought it would be interesting to at least let you hear a little acoustic guitar playing. You’d probably never use a ’57 on an acoustic guitar unless you had to do it in a live situation, so I didn’t record a ’57 version of this. You can imagine “the lousy” in your head, I’m sure. But I set up the CG Fat Head here with a steel string acoustic, same signal path. First I did some strumming, as I kind of like that sound with acoustics and ribbons. It’s not terribly detailed, and I’d definitely EQ that a bit, but it has some qualities that I like and might look for in a rhythm acoustic guitar track. Of course, if you had a situation where you had to record a singer/guitar player at the same time, these make a great choice for the guitar as the off-axis rejection (in the figure of eight pattern) works to your advantage in that situation, hopefully rejecting the singer’s voice while capturing a lot of guitar. This also works well for single note picking, as it has a lot of mid-low presence, and it might be a good choice for acoustic guitar solos or single note lines when a condenser might sound a little too bright or thin in those applications. 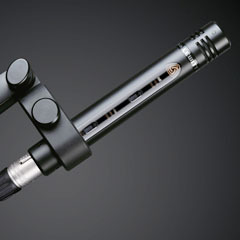 As I mentioned, this mic would probably work well on brass instruments, strings, and mandolin. 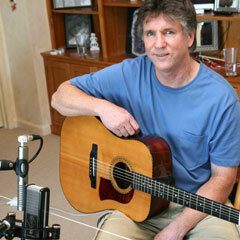 I’d use it on a dobro/slide (the darker quality of this mic, plus its “hair” would nicely offset the slide) too. The mic ships with the simple rubber/soft plastic mic clip (not a shock mount) that came with the Fat Head BE and comes in a zipper pouch. 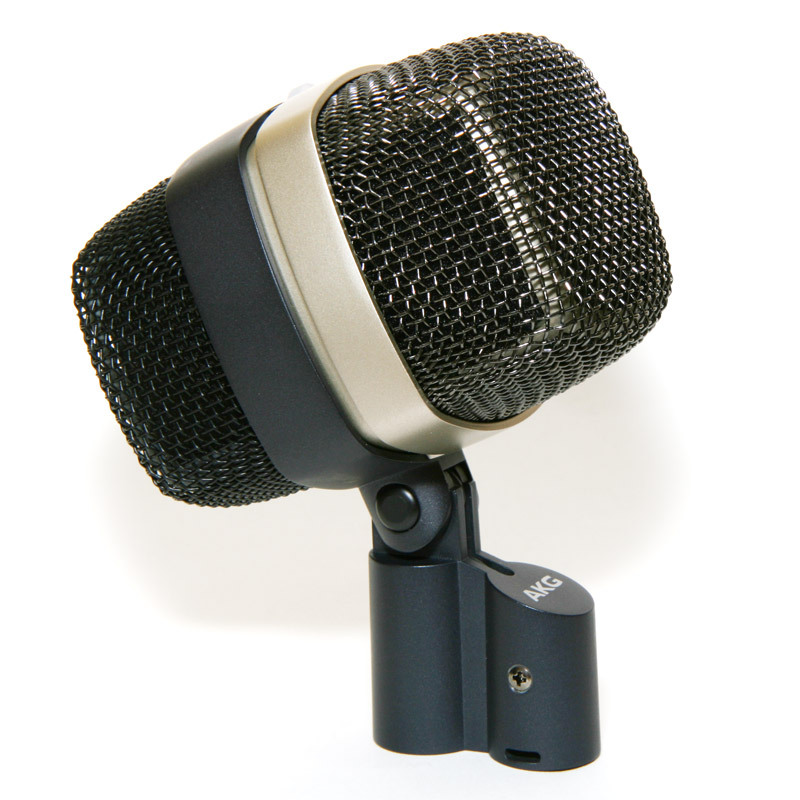 If this microphone has the color that you’re looking for, it’s a very nice addition to those who record a lot of electric guitars, or any of the other instruments mentioned here and at a very reasonable price. It would have been useful to get the comparison with a condenser as well, as I suspect that would provide the more modern flavour of the three. Especially, it would have been useful to have a “control mic” for the acoustic guitar example, as we can only guess what your guitar sounds like acoustically. Maybe an AT4050 or similar. None-the-less, a really useful article, and I sure have a better understanding of the character of the new Cathedral Guitars mic. Great blog – really interesting to find out some more about the nature of the new Cathedral Guitars from someone who clearly knows their stuff! Thanks. 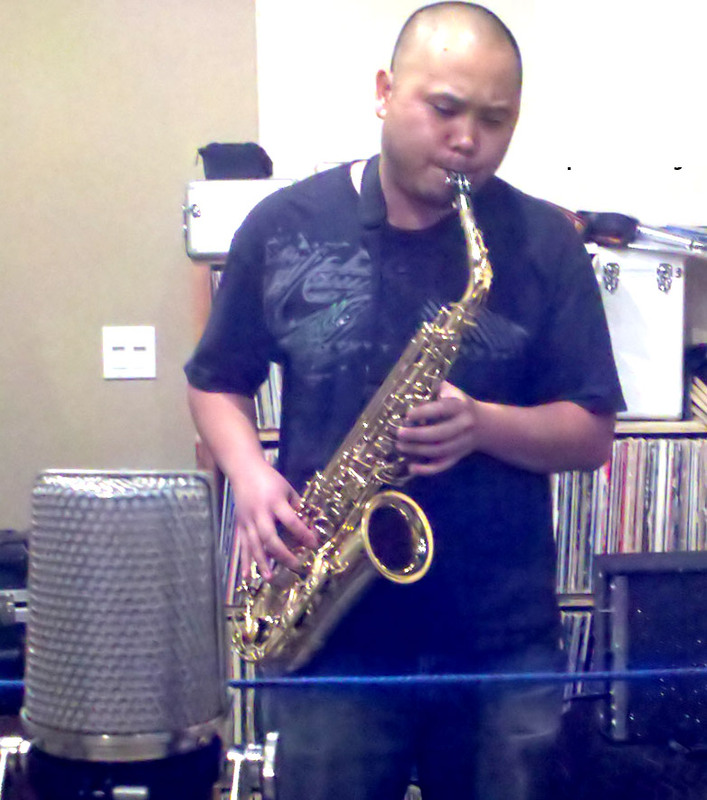 Sounds like the 57 would be best for a cleaner sound, but the 42 can pack a punch when it wants to! You can really tell the sound difference in the Fender ZZ Top session, and it’s great to get some comparisons between the two.